Puffy eyes have been known as one of the most popular beauty issues. Starting a new day with puffy eyes can make you really frustrating and uncomfortable. This common occurrence may be the result of some contributing factors, including how you sleep or what you eat. You should understand and determine why the area under your eyes is swollen and learn some home remedies for puffy eyes and eye bags as it will be helpful for treating the issue and preventing unwanted bags from appearing on your face. I. What Are Puffy Eyes? Puffy eyes occur when there is excess fluid or inflammation in the connective tissues around the eyes. Swollen eyes may be non-painful or painful and have effects on both of the lower or upper eyelids. To determine the causes of your puffy eyes, you should pay attention to accompanying symptoms and review lifestyle factors which may contribute to eye puffiness. As you may know, one of the most popular causes of puffy and tired eyes is aging. Because the skin underneath the eyes is very thin, this augments any changes which can occur in your body when you age. The tissues in your eyelids become weaker over time and leading to falling fat in the upper eyelid and resting in the lower eyelid. As a result, puffy eyes appear. Puffy eyes can make your look become tired and ill. 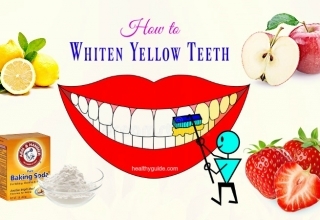 However, you can take care of them easily with several simple and natural ways that Healthyguide will talk to you in this writing. We hope you can find useful information and suitable home remedies for puffy eyes from crying and allergies. 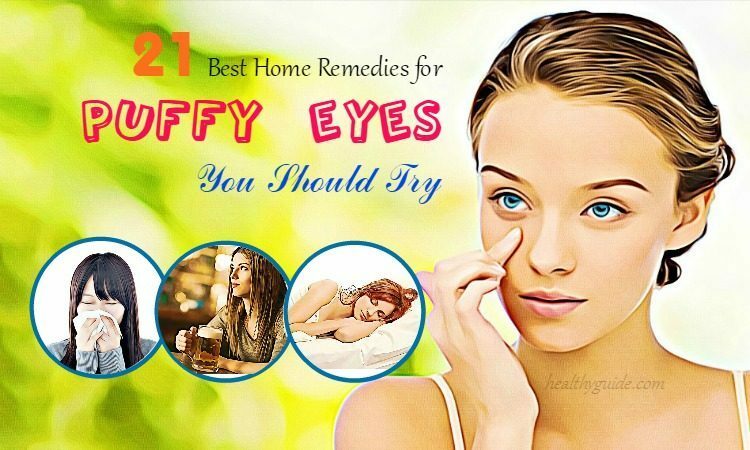 The first of top 21 home remedies for puffy eyes from crying and allergies is to have a good sleep. Getting enough sleep regularly will help to prevent the appearance of the puffy eyes as the lack of sleep is the main reason causing dark circles around your eyes. The average length of sleep in adults is 7 to 8 hours. Therefore, make sure that you are sleeping enough and create a proper bedtime routine. Follow a sleep schedule regularly. Avoid drinking caffeinated beverages at least 6 to 10 hours before you go to bed. Do not drink alcohol before bedtime. Finish exercising a few hours before bedtime. Stop eating dinner at least 2 hours before you go to bed. Turn off your electronics 1 hour before you go to sleep. Another of 21 home remedies for puffy eyes is to address your allergies. If you suffer from seasonal or year-round allergies, you need to consult your doctor to have an effective treatment. Allergies can make your eyes swell, red, and puff up. This will make you rub your eyes more, thus leading to further puffiness. Hence, your doctor can help you plan a treatment to alleviate your symptoms of allergies. This may include right eye drops and prescription or over the counter medications. As you may know, dehydration can have negative effects on your health and skin. Besides, dehydration may a cause of your puffy eyes. Because of this, you should try to avoid and limit alcohol and other drinks which are able to make you dehydrated. Instead of drinking unhealthy alcohol, you can consume a glass of water. If you are feeling tired of plain water, you can also infuse it with fresh fruit, which is an impressive way to stay refreshed and hydrated. You should try adding your favorite fruit to a water bottle to provide water for all day long. You use an extra pillow for the elevation of your head. If you feel worried about the problem that may cause sore muscles when you wake up, place a few small blocks of wood under the legs at the bed top to raise it slightly. If you are finding the wonderful home remedies for puffy eyes from allergies and crying, a diet with more potassium is a suit answer for you. 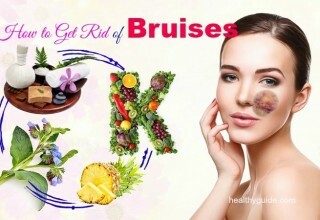 Potassium has the ability to reduce excess fluids in the body, thereby smoothing swollen eyes. Therefore, you need to raise your potassium intake by including yogurt, bananas, beans, and leafy greens in your diet. If you are eating a diet with potassium-rich foods, you talk to your nutritionist about whether the potassium level is fine to be able to take the appropriate adjustments. One of the common causes of water retention is to consume too much sodium, even if you do not have a pre-existing condition which makes you prone to it (like kidney disease). This is because salt and water are imbalanced, water will get drawn out of cells and puff up tissues. As the result, bloating can affect your eyes by filling out these tissues around your eye cavity, thus leading to puffy eyes. Therefore, the less salt you ingest, the less puffiness appears. If you feel worried about how you will flavor your food, this isn’t the issue because your taste buds can adjust to the changed levels over time. It is important that you need to have perseverance and self-control. Drinking water is one of the easiest ways to remove puffy eyes. When your body is well hydrated, this will at the low risk of water retention which is responsible for the areas under your eyes and other parts of the body to swell. In addition, water also has the ability to flush toxins out of your body. To keep your body well hydrated, you need to drink at least 8 glasses of water a day. If you wake up with swollen eyes, an ice pack can bring instant relief. This makes it one of the most common home remedies for puffy eyes from allergies and crying you should not look down. Its coolness can constrict blood vessels, thereby slowing down the fluid flow into your tissues and reducing the puffiness as well as the inflammation. At the same time, the ice pack has the ability to make your eyes look refreshed. Firstly, you wrap a few ice packs on a clean cloth. Then you place this cloth with ice on your affected eye. This should be done for 5 to 7 minutes for each eye. You need to follow the method several times a day to get maximum results. When you wake up with dark circles or puffy eyes, using cold spoons is a perfect choice. This is because it is able to tighten the skin area around your eyes. In addition, it also has the ability to relax and reduce the blood vessels which may contribute to the inflamed eye area. The regular application of cold spoons will offer instant relief to tired and puffy eyes. At the first procedure, you put 5 to 6 metal spoons in the refrigerator to chill for about 10 to 15 minutes. Now, you take one of them out and hold its rounded part against the eye for several minutes until this spoon becomes warm. After the spoon warms, you replace it with another one that is taken out from your refrigerator. 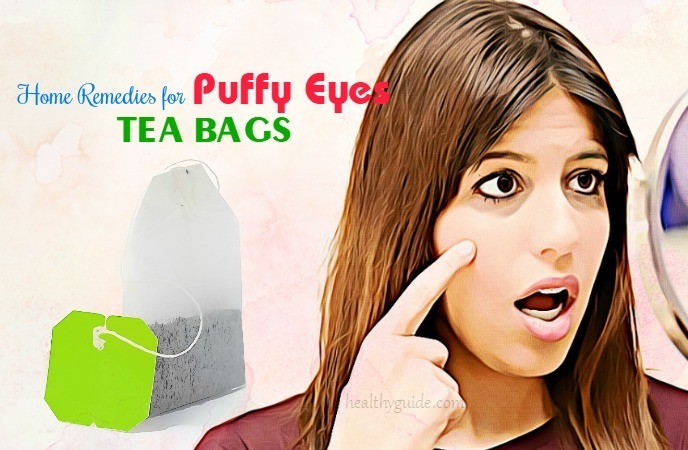 There are many home remedies for puffy eyes from allergies and crying and using tea bags are one of them. You may think that the used tea bags are worthless but they can also have several great properties. 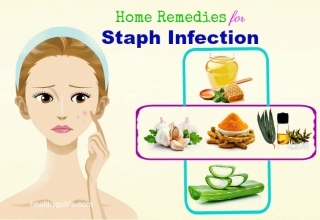 These properties are beneficial for your skin and obviously, helpful for your puffy eyes. Both of black tea bags and green tea bags have the ability to calm irritated and puffy eyes. They have anti-irritant properties which help to reduce swelling around the eyes and relieve redness as well as inflammation. You firstly cool down 2 used tea bags for half an hour in your refrigerator. Then you lie down and put these tea bags on your closed eyes. You allow them to sit on your skin for 10 to 15 minutes. This method should be applied about 2 to 3 times every day until the puffiness goes away. Chamomile is known as an effective of 21 home remedies for puffy eyes from allergies and crying. It is useful for soothing puffiness caused by allergies. When it comes to eyes, it not only helps with inflammation but also contains the properties which are capable of soothing irritated skin and itchy. These symptoms are different with any swelling. In addition, it is also good for strained or tired eyes. You take 2 chamomile tea bags and soak them in boiling water for about 5 minutes. Then you remove the bags and allow them to cool down. After the procedure is done, you start squeezing out to get rid of any excess liquid. Now, you lie down and put them on your eyes so that they work. You keep it on for at least 12 minutes two times a day to notice the satisfied results. When it comes to treating puffy eyes, using eggs is believed as a natural home remedy. Egg whites have the ability to tighten and nourish the skin under your eyes, thereby fighting against wrinkles effectively. Eggs also aid in reducing the inflammation around your eyes. 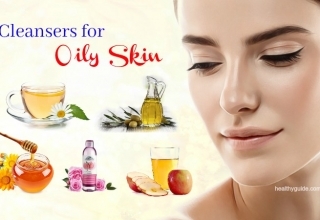 Furthermore, Vitamin B present in them helps to enhance the blood circulation, while their astringent properties assist in soothing the inflammation and toning the skin at the same time. First of all, you break 2 eggs and separate the yolks from egg whites. You collect the egg whites in a small bowl and whip them thoroughly until they become consistent. 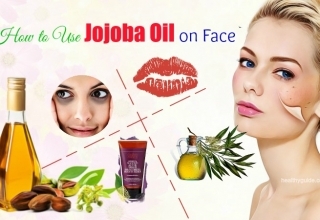 Then you add several drops of essential oil or witch hazel which is a skin-tightening astringent. By using a soft cloth or a brush, you apply this solution under your puffy eyes. You should apply this regularly for several days to heal your puffy eyes. Almost people gargle with salt water as the mandatory need when they suffer from some issues with their throat and mouth. Aside from that, salt water has been known as a good of 21 home remedies for puffy eyes. The combination of hot water and salt is beneficial in reducing swelling as well as puffiness under your eyes. This salt water helps you remove the fluid retention through osmosis. You firstly make a mixture by add 1/2 teaspoon of salt and 1/4 cup of water to a bowl. Be sure that the water should be not too hot. Now, you soak wool eye pads or cotton balls in the warm saline water and then place them on your eyelids with the closed eyes for a couple of minutes. You can repeat this process for about 15 to 20 minutes. This should be done about 2 times a day for the best results. 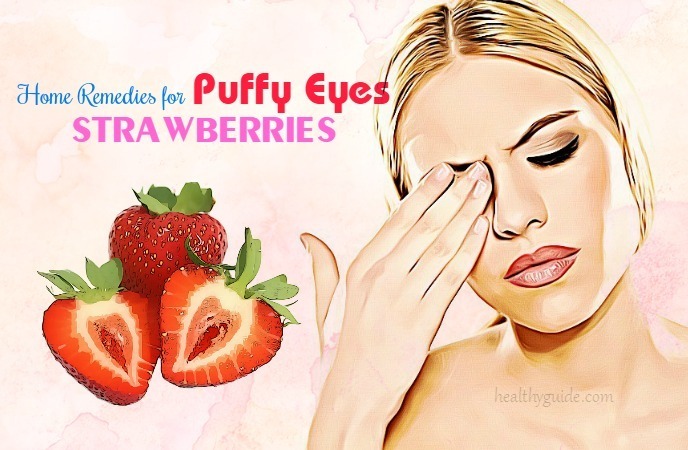 Another impressive of 21 home remedies for puffy eyes is to use strawberries. The delicious fruit contains alpha-hydroxy acids which not only aid in smoothing out the skin but also reducing the swelling, puffiness, and dark circles. Moreover, strawberries have anti-oxidants that are useful in making your skin look younger and more beautiful. You take some strawberries and chill them in your refrigerator for about 30 minutes. Then you take them out, remove the tops and then cut them into thick pieces. Once this is done, you lie down and place these slices under your eyes. You keep them on for several minutes to feel the difference. You should follow this at least 2 times a week to get the improvements. If you are finding the simple and easy home remedies for puffy eyes , chilled cucumbers are the best choice for you to deal with this problem. The astringent properties and the enzymes in cucumbers are capable of reducing inflammation and tightening the skin quickly and effectively. 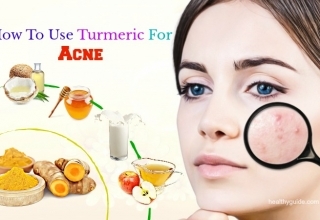 This remedy also helps to get rid of dark circles and wrinkles around your eyes. On top of that, cucumbers are packed with antioxidants that calm irritation while the cooling effects containing the frozen slices assist in reducing swelling. Firstly, you cut a cucumber into many thick slices. Then you chill these slices by placing them in your refrigerator for about 10 minutes. Now, you take the cold slices out and place them on your eyelids with the closed eyes until they become warm. This process usually takes about 10 minutes. You should repeat the home remedy several times a day to get the eyes with full of vitality. Similar to cucumbers, potatoes are best known as an effective of 21 home remedies for puffy eyes. The reason of this is starch content in potatoes. The starch contains anti-inflammatory properties which are beneficial in reducing under-eye bags. Regular use of potatoes is also able to fade dark circles under your eyes. First of all, you peel and wash a medium sized potato. Then you let it dry and grate it well. Now, you place these shavings in a cloth and then tie it up. You put this cloth on your eyelids with the closed eyes for a few minutes. The process should be repeated a couple of times until the puffiness disappears. Tomato not only has many health benefits but also is one of the most popular ingredients for care skin. Tomato juice has the wonderful effects on swollen eyes. 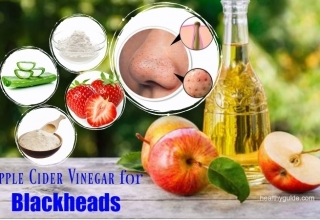 They are capable of making your skin less inflamed as well as less puffy, thereby tightening the area around the eye skin and providing instant relief from puffy eyes. You make a mixture by adding tomato juice and lemon juice extracted from one whole lemon to a small bowl. Once these ingredients are mixed well, you use a clean cotton ball to dip this tomato liquid on your eye area. You keep it on your skin for 10 minutes before washing it off with cool water. This is one of the home remedies for puffy eyes that just some people know about but it is super effective. Whole milk is rich in fat which has a soothing property good for the skin. The milk is also a great source of vitamins A and D, lactic acid, amino acids, and proteins that assist in reducing the swelling and calming puffiness on the eyes at the same time. You put 2 tablespoons of whole milk in your refrigerator to get the cold milk for 5 minutes. Then you soak a wash towel in the cold milk and put it on your closed eyes. You allow it to rest until it becomes warm before you soak it once more. You keep doing this procedure for at least half an hour to say goodbye to your puffy eyes. When it comes to the brilliant ways on how to get rid of puffy ways, Vitamin E brings incredible efficiency. Vitamin E is best known for the regeneration of the skin, especially if your skin is already feeling tired. This Vitamin helps your skin, particularly the areas around your eyes, look radiant and fresh. 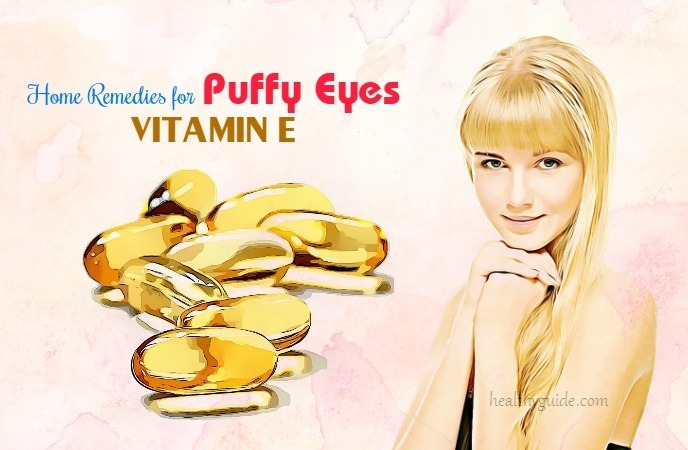 In addition, Vitamin E is able to supply the eye areas with essential nutrients that it needs. You directly apply vitamin E over the eye areas before going to bed. You allow it to sit on these eye areas overnight. In the next morning, you wash your face with cool water. You can do this regularly for the best results. The last of top 21 effective home remedies for puffy eyes and eye bags is to apply aloe Vera. Aloe Vera is believed as an impressive home remedy for any hair and skin conditions. When it comes to puffy eyes, aloe Vera contains the antioxidants, which makes it ideal for reducing the inflammation and puffiness around your eye areas. 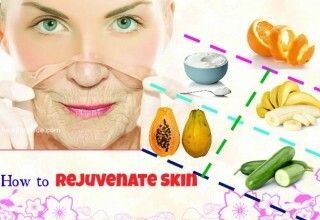 It is also able to tighten your skin and keep it nourished thanks to its Vitamin E content. You cut a fresh aloe Vera leaf and extract the gel. Then you apply the gel over the puffy areas around the eye. You keep it on for a couple of minutes and wash it off completely with cool water. Note: When applying the aloe Vera gel, you should be careful because the gel may cause pain if it gets in your eyes. You can massage your tired eyes by using your fingers. You close the eyes and then gently press the ring finger under one eye. You move the finger in an arc shape to relax. You keep this motion for 10 to 15 times before repeating on the other eye. Avoid vigorously rubbing your eyeballs after you wake up in the morning. Do not touch them throughout the day. Let your eyes relax. The eyes need to take a break for 5 to 10 minutes with every hour you sit on the computer. You stare out the window whenever you have time, close the eyes and meditate. 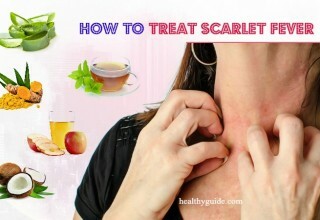 Use hypoallergenic soaps and color-free detergents. Keep your bedroom away pollen, dust, and animal dander. You should remove dust-collecting objects, cover your pillows and mattress with protective coverings, wash sheets once every week and bar pets from your bed. When you wear a hair spray or put on makeup, be careful because the products can make your eyes become irritated. You should avoid chemical irritants and use natural products which are less likely to trigger adverse reactions. Exercise regularly to improve circulation. 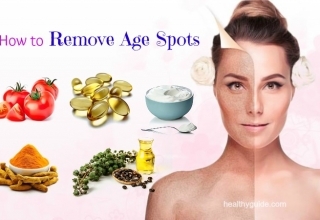 Concluding, if you wake up with puffy eyes, you are able to easily make them disappear by applying any of these mentioned ways that are capable of helping you look more radiant and younger. However, if you still experience puffiness under your eyes for no certain reason and it is associated with by discomfort, blurry vision, and pain, you should consult your doctor immediately. Last but not least, apart from finding some ways to get rid of puffy eyes, it is recommended that you should consume much healthy foods for eyes. Aiming to aid you in finding health foods for eyes more easily, we published a great article named “Top Healthy And Nutritional Foods For Eyes” in our main Food page. This writing provides you with 19 kinds of healthy foods that are very beneficial for your eyes. 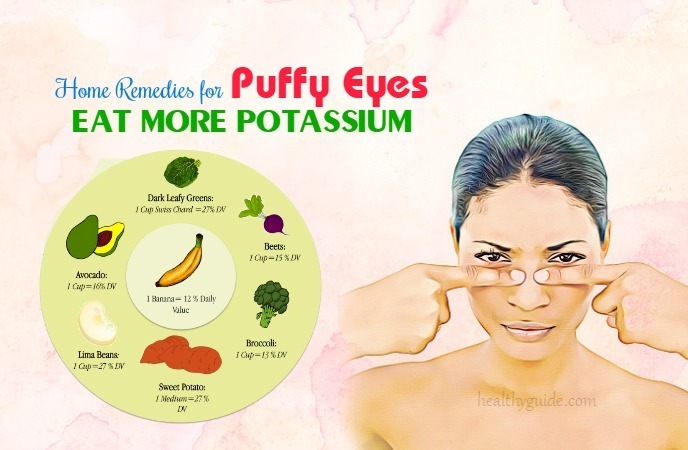 By combining natural home remedies for puffy eyes and eye bags with the consumption of healthy foods, you will have a good eyesight without any eye health problem.